A very nice, light pink, thick-bladed serandite crystal is propped up by a couple of large natrolite crystals and another serandite crystal. 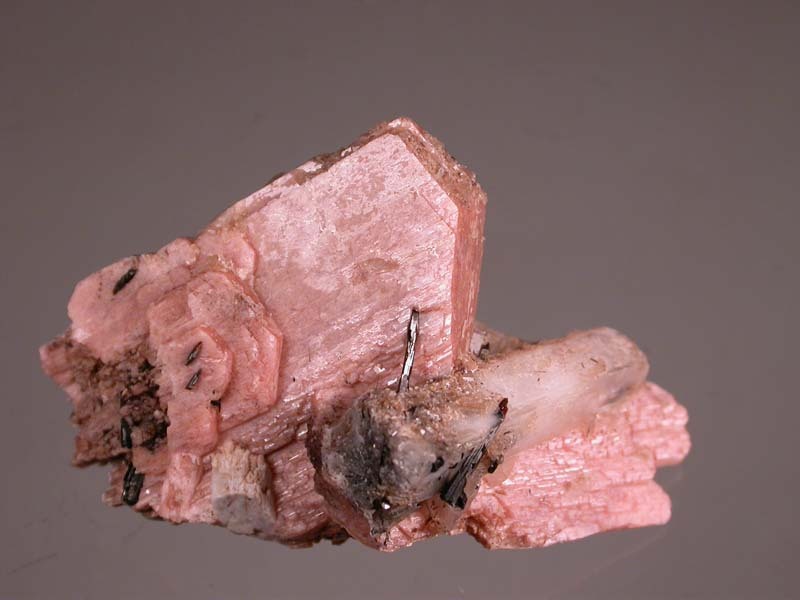 There are some rhabdophanes in a couple of openings in the serandite crystals and, of course, the ubiquitous aegirine here and there. 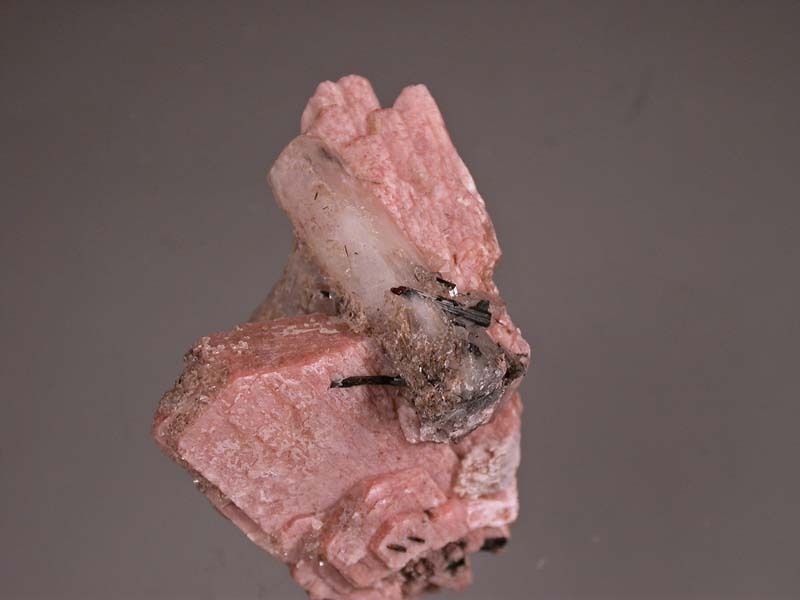 Also some tiny purple fluorites on the serandite crystal termination. Displays very well!